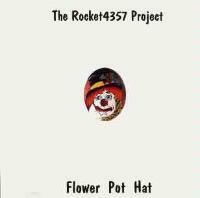 This disc is a strong debut entry from The Rocket4357 Project. In many ways it is a competent pop/rock album, but even in that mode, the prog influences show through. The only real complaint abut this release is the length. In this day and age of 70 minute plus discs, Flower Pot Hat is basically an EP, clocking in at just over half an hour. The album is produced completely independently ("direct from the artist, not from an 'Indy' label. ")They say that 100% of the proceeds "will go to offset the costs associated with the recording and duplication of the CD's." The disc can be ordered for $12 (postage paid) by Emailing Rocket4357@aol.com (please mention that you heard about it here). Musicians on the project are Greg Lounsberry, Dan Collins, Brian Carlson and Steve Spayde. This piece is essentially an instrumental introduction to the next track on the disc. It is a wonderfully intricate and beautiful acoustic guitar and keyboard composition. Moments of the guitar work feel somewhat Steve Howeish in style. While exhibiting elements of Yes, Pink Floyd and fusion, Flower Pot Hat is a song predominately in the vein of very competent southern rock/pop (ala 38 Special) This 38 Special reference is directed more toward the vocal work than the instrumental work. Musically, however, the piece does have a poppy/southern rock sort of texture. Even within this format, it contains sections which are very quirky and progish, while not interrupting the flow of the piece. This is a very effective and quite accessible cut which is ended by an inspired acoustic guitar break. Desert themes with Eastern leanings combine with fusion strains in this guitar dominated instrumental. The arrangement is unconventional and entertaining. Yesish traditions make an appearance in sections of a keyboard break. A textural approach is used to create a slow ballad groove. The song features Steve Howeish tones and a tasteful guitar solo with jazz leanings. Elements of fusion are present in this instrumental which is essentially jam based. The mix alternates between rhythmic and melodic emphasis. Some of the guitar work has Frippish tones. This is a number which takes a rather simplistic structure and makes it dynamic through solid instrumental work by all of the musicians. The vocals are quite strong in a poppish/aor sort of mode on this track, which is somewhat in a modern Genesis sort of vein. This is an amusing pop ballad. This instrumental is an energetic rocker with strong prog leanings. 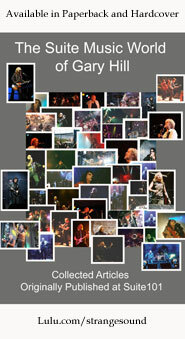 The piece shows parallels with Steve Howe`s Asia work. Turn It Around is, however, much more straight-ahead rock and roll. A guitar showcase, the number features an abrupt ending.